A Church of England priest and an organist have been charged with sexually abusing two young boys in the late 1980s. Father Wilkie Denford, 77, who is semi-retired and from Shoreham, and Michael Mytton, a 68-year-old organist from near Lewes, were arrested in November. The pair are accused of abusing the boys at a number of locations in West Sussex between 1987 and 1990. The men are due to appear at Mid Sussex Magistrates' Court on 22 May. 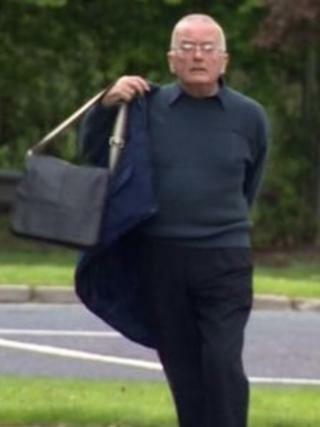 The abuse is alleged to have taken place while Mr Denford was a vicar at St John the Evangelist, in Burgess Hill. Mr Denford, of Broad Reach Mews, Shoreham, has been charged with three indecent assaults on a boy then aged under 16. Two of the assaults are alleged to have taken place in or near Shoreham and one in or near Cuckfield between June 1987 and January 1990. He has also been charged with an indecent assault on another boy, then under the age of 16, at Cuckfield between January 1987 and December 1990. Mr Mytton, of South Road in East Chiltington, East Sussex, has been charged with aiding and abetting Mr Denford in the alleged assault on a boy in Cuckfield between June 1987 and January 1990. He worked as an organist in the Lewes area. In a statement, the Diocese of Chichester said: "In accordance with Diocesian procedures both men were suspended from all duties immediately upon receiving advice from local safeguarding authorities."